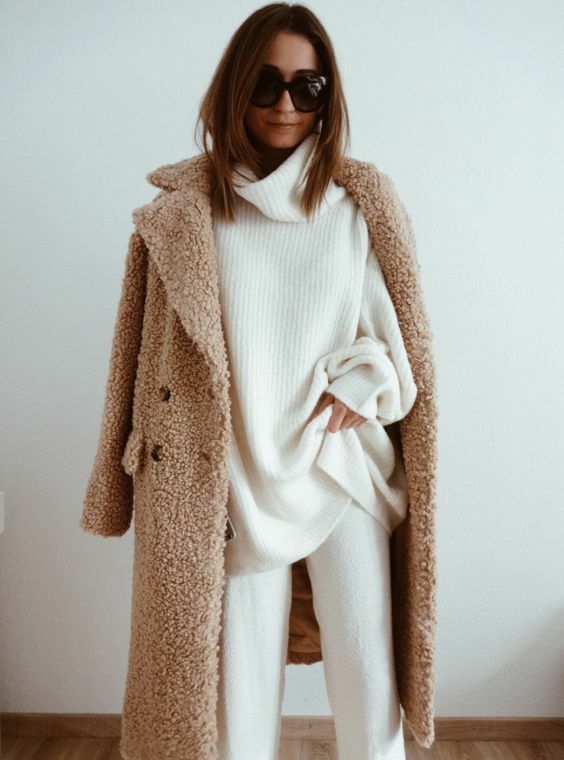 A teddy coat is a super trendy piece for this fall and winter, and if you don’t have it still, it’s high time to buy one! A teddy coat guarantees you’ll feel warm and cozy even on cold winter days, that’s certain! 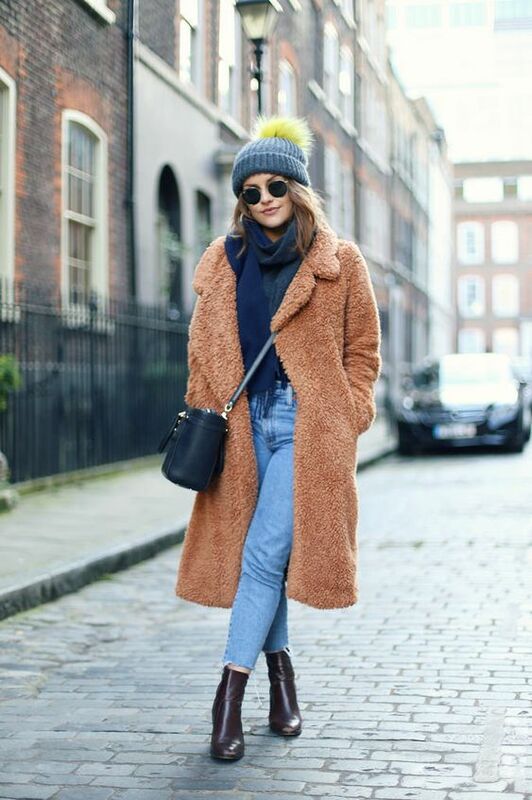 How to style a teddy coat right to look cool? Here are some tips. Prefer midi or knee length as such a coat will make you feel warmer and more comfortable than shorter versions. The most popular shades are more natural ones: beige, brown, amber, camel, mustard, grey, off-white and creamy. Teddy coats can be easily styled both with sporty and with more casual looks, with elegant and romantic outfits, too. It will look good with jeans and a sweater, and if you add a pair of sneakers, you’ll get a very functional outfit. It will look cool with wide leg pants or culottes and a turtleneck plus heels – this is a very refined option. 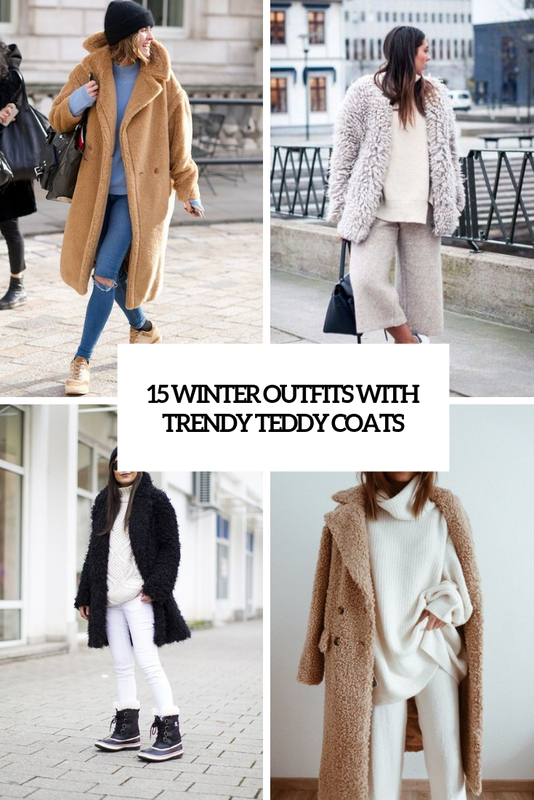 Take a look at the ideas and get inspired to rock a teddy coat yourself!